Hi again, I am back with another JustRite Papercrafts November release card today. And today it's another beautiful stamp called Caring Thoughts Sentiments. It's a beautiful stamp set for Sympathy cards, but can be used for other occasions, too as there are plenty of sentiments in there and I love the font. For this card I used one of the JustRite Papercrafts background stamp called Sweet Vines. 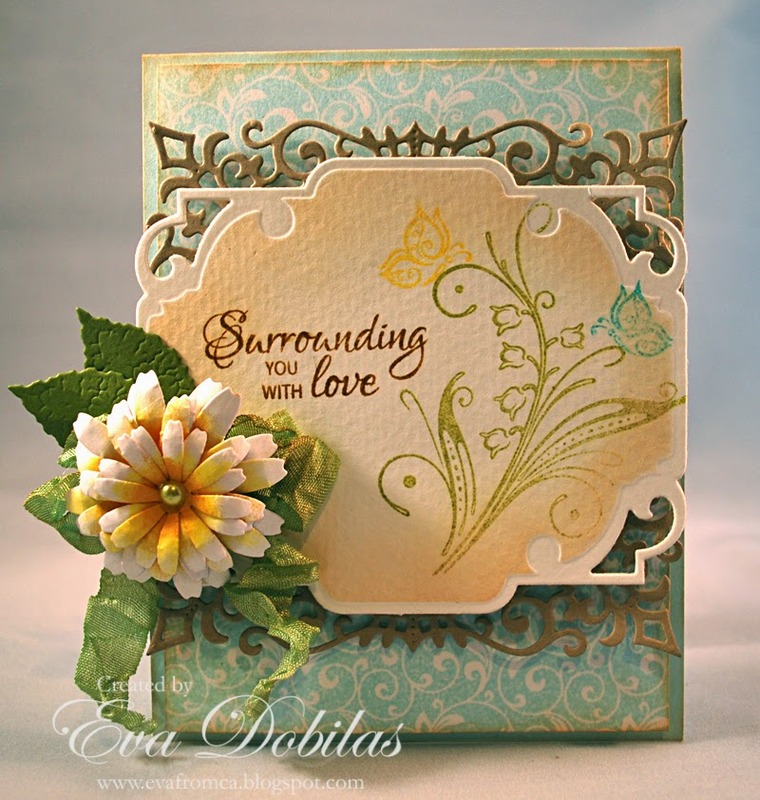 I stamped my flower, butterflies and the sentiment on a card stock that was die cut using Vintage Labels Eight dies, which I layered on top of Cheery Lynn's Royal Scandinavian Doily die and my flower was also created using Cheery Lynn's Shasta Daisies dies. Here is what the Caring Thoughts Sentiments clear stamp set looks like. And now it's time for you to check out what my talented design team mates have created with this stamp set today. Thanks for stopping by and hope to see you tomorrow. Have a fabulous day!